Twelve students will travel to London March 5 – 15 during spring break to study Winston Churchillas part of a Westover Honors Seminar. Students will visit Blenheim Palace, where Churchill was born, as well as the Churchill and Imperial War museums. 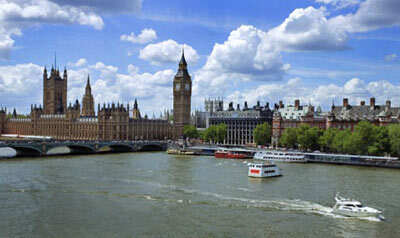 They will also visit British Parliament, the Tower of London, and take an excursion to Windsor Castle. This study abroad program will be led by Dr. Ed DeClair, assistant dean for international programs, and Barbara Rothermel, director of LC’s Daura Gallery. Churchill remains an iconic figure of the 20th century. Soldier, journalist, politician, prime minister, author, artist, and historian, Churchill was truly a unique figure among his 20th century contemporaries. The honors colloquium examines Churchill’s pivotal role in world and British history. Highlights include WWI, WWII, the end of the British Empire, Churchill’s role in extending the unique relationship that exists between the U.S. and Great Britain, and finally the dawn of the Cold War and the rise of Soviet Communism in East Europe.